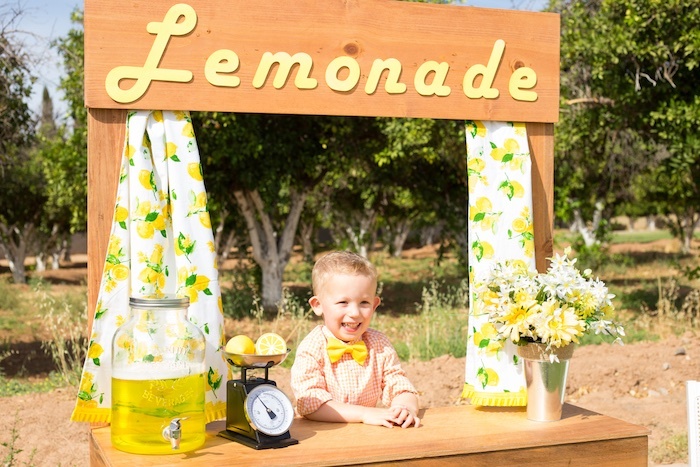 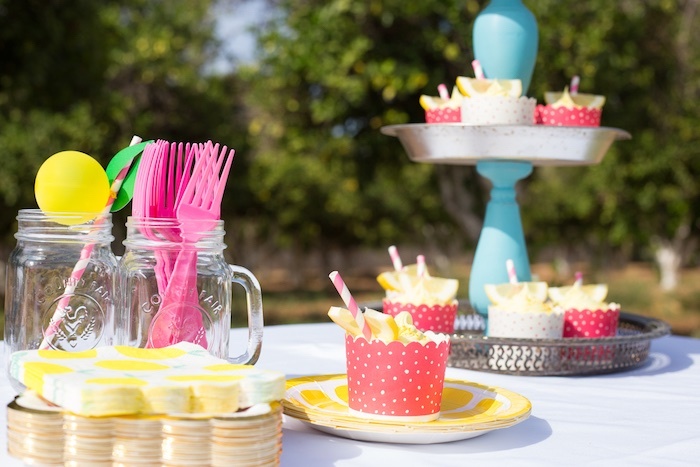 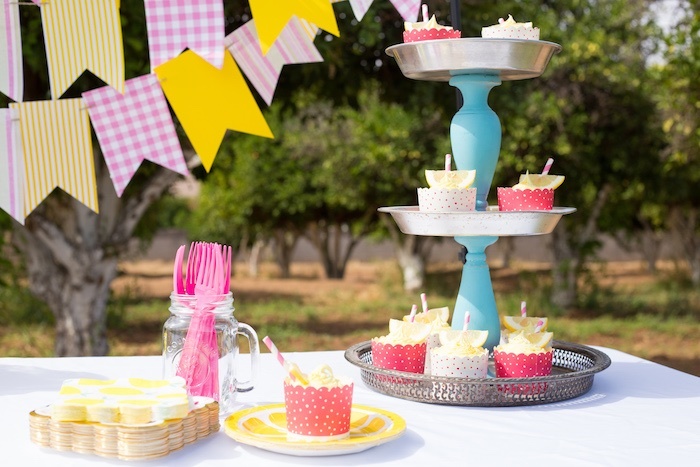 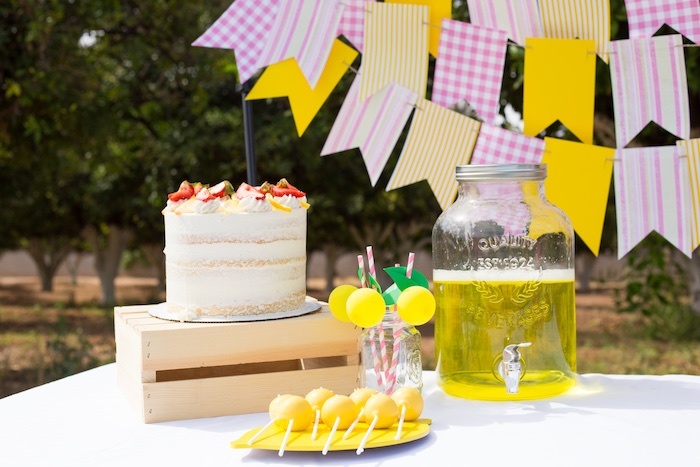 Pucker your lips and make haste, this Lemonade Stand Birthday Party, is waiting for a taste! 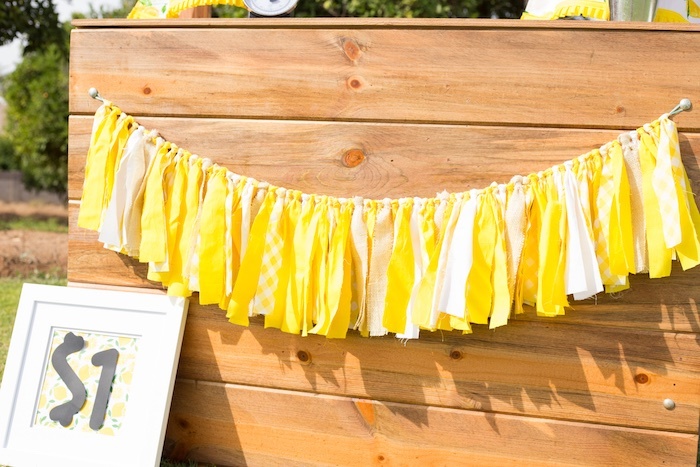 Styled by Kerstin Harper of Simply Made Parties, out of Gilbert, Arizona, USA; this birthday bash is packed sweet details ready to be peeled! 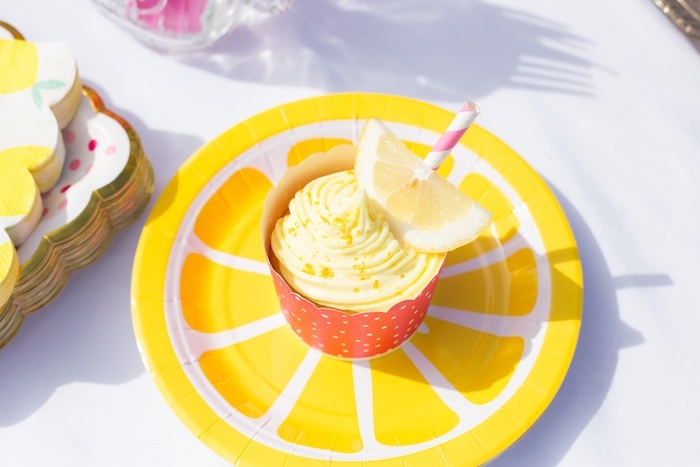 And Darling Lemon Slice Cupcakes! 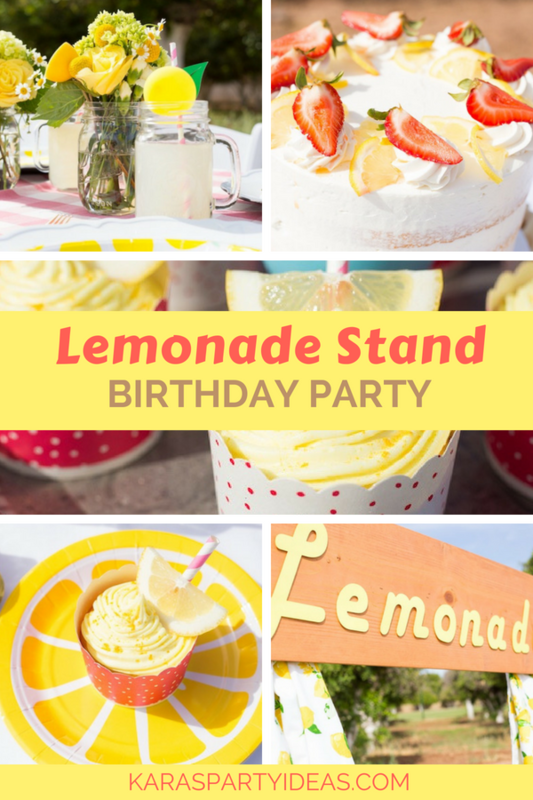 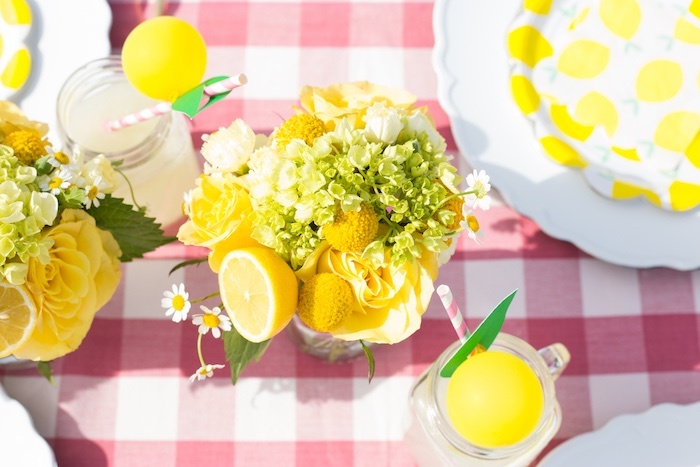 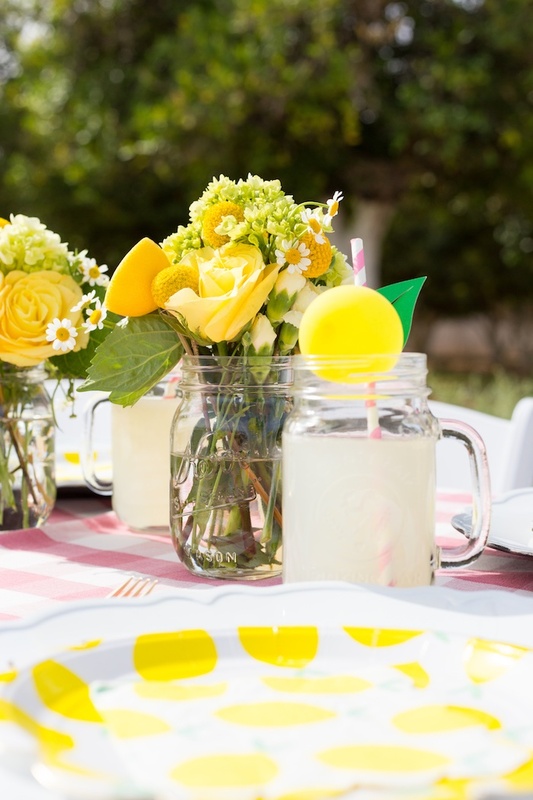 Kerstin’s party description- “Summer + Lemonade Stands gives us all the feels. 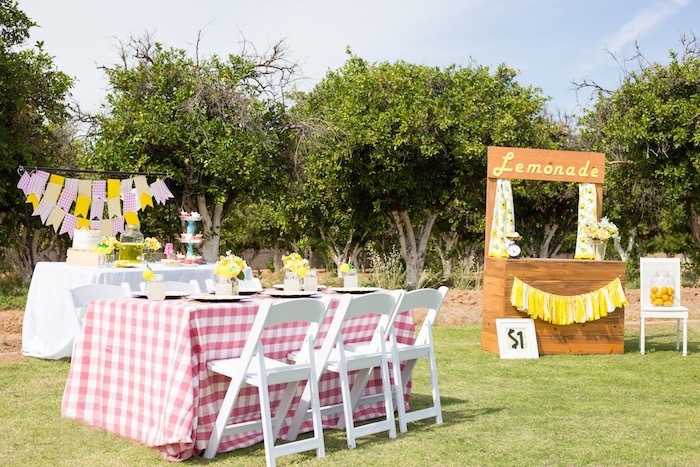 My photographer friend had just built a lemonade stand and my obsession with lemons was at an all time high, so I reached out to her and asked if she wanted to throw a party. 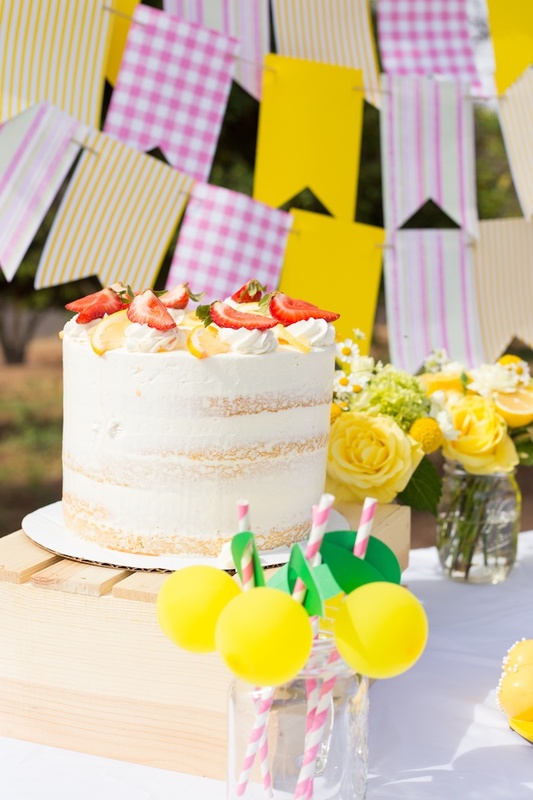 Being a great friend, she of course said “YES!”. 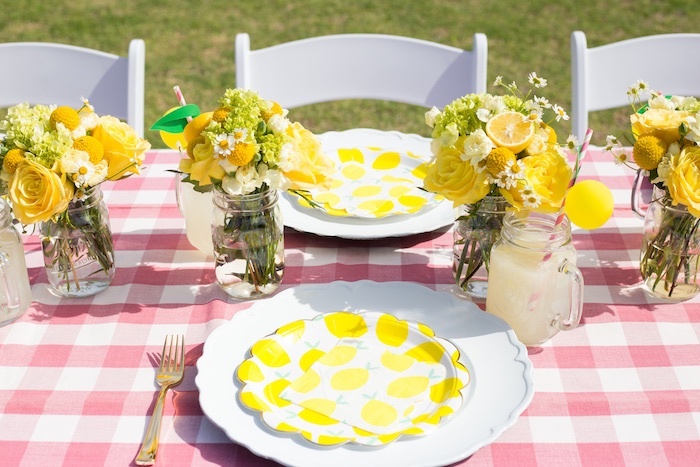 So, we threw around some ideas to create something light, bright and fun. 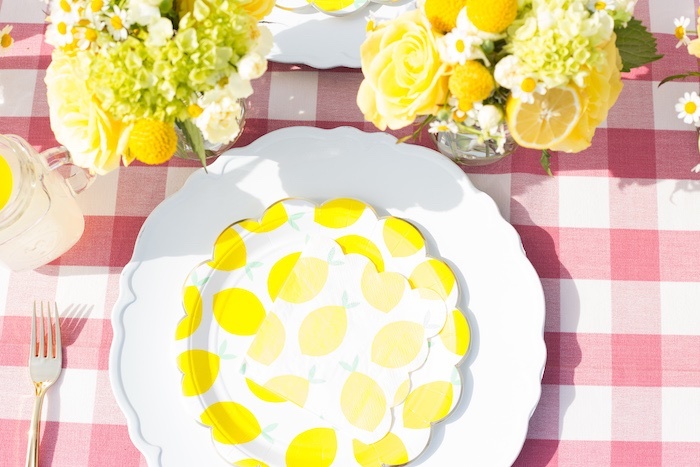 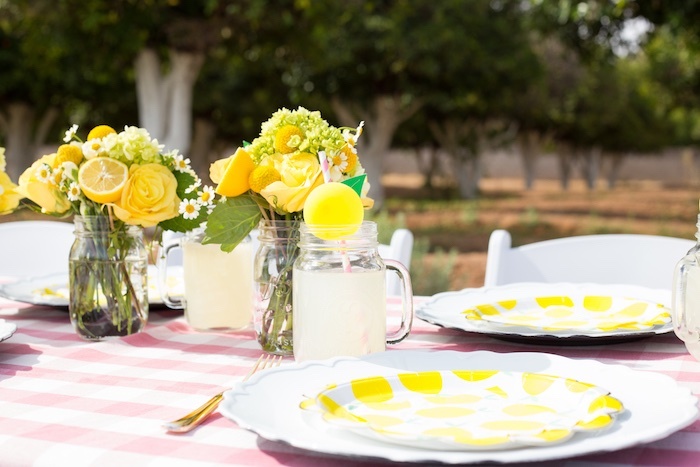 We pulled our inspiration from the lemonade stand (of course) and these adorb plates from Meri Meri. 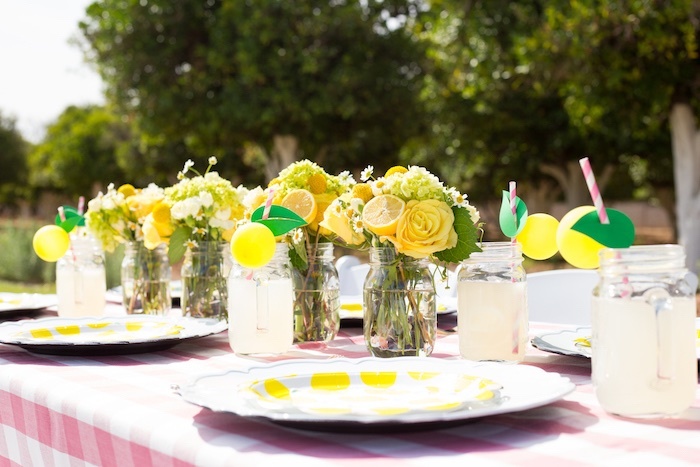 Our florist, Heather from Arizona Florations, created cheerful centerpieces that even included lemons. 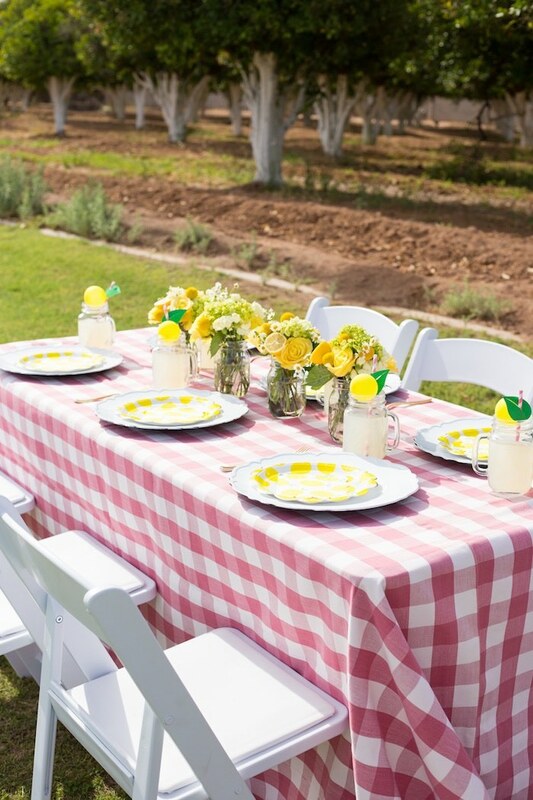 They smelled divine and the mason jars added a bit of a rustic touch. 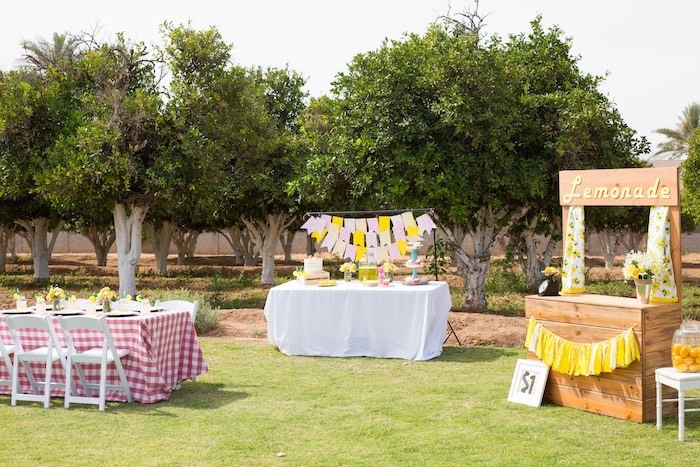 The pink linen from La Tavola added a bright pop of color and was the perfect backdrop for the florals. 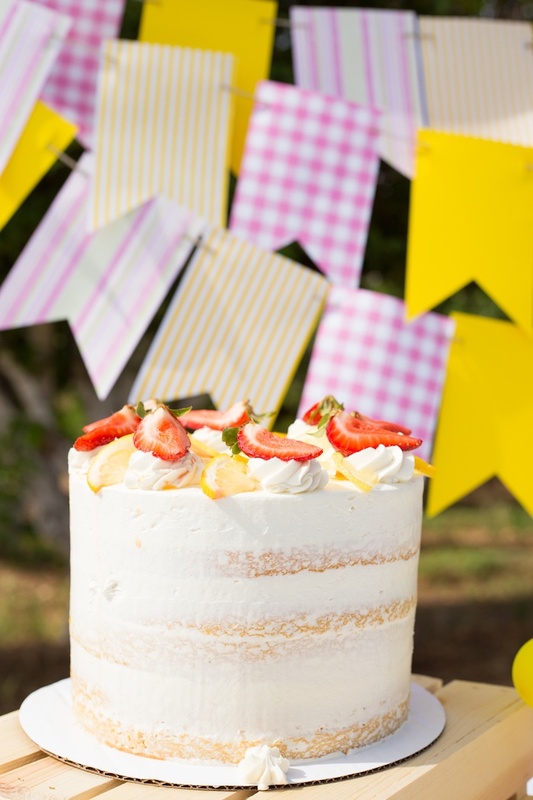 And what is a party without dessert? 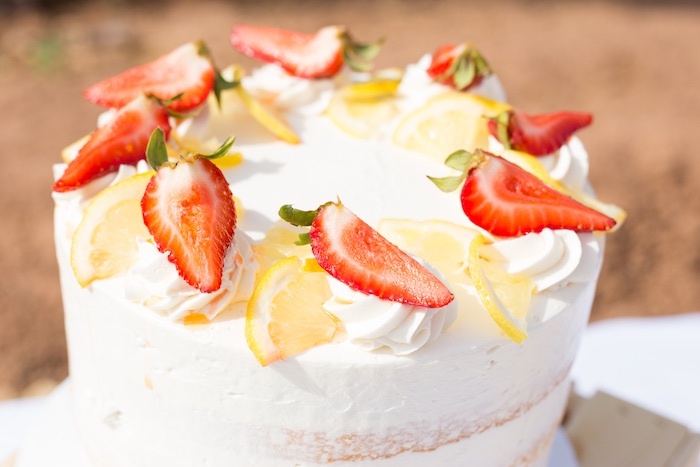 Amanda from Baby Jane’s Custom Cakes made delicious cake pops and a beautiful naked cake adorned with fresh strawberries and lemons. 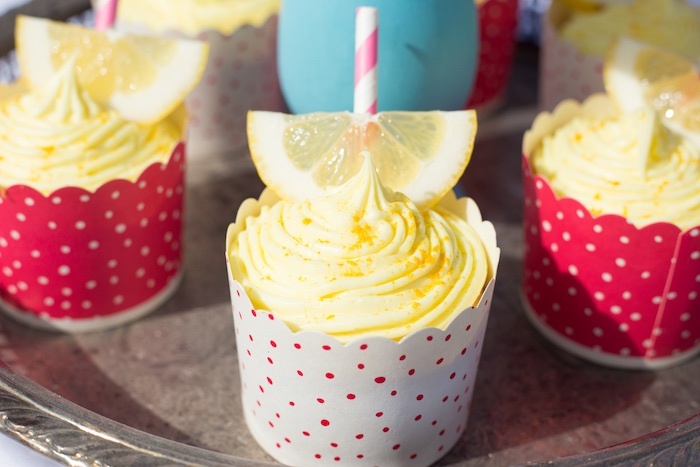 And because you can never have too much dessert, I also added cupcakes to the mix. 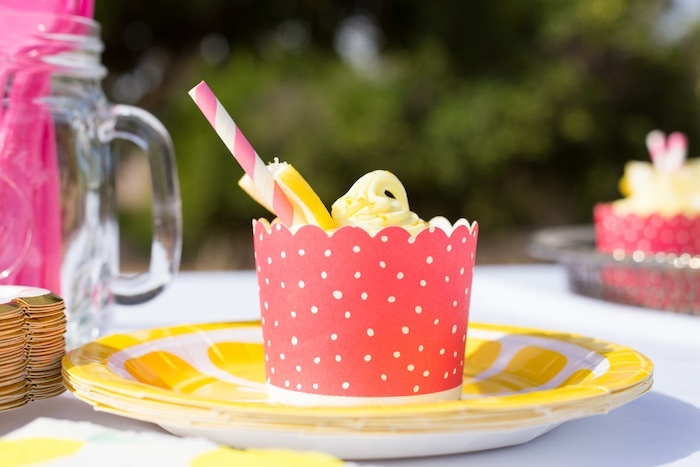 I just cut a straw in half and inserted it into the frosting and topped with a fresh lemon wedge. 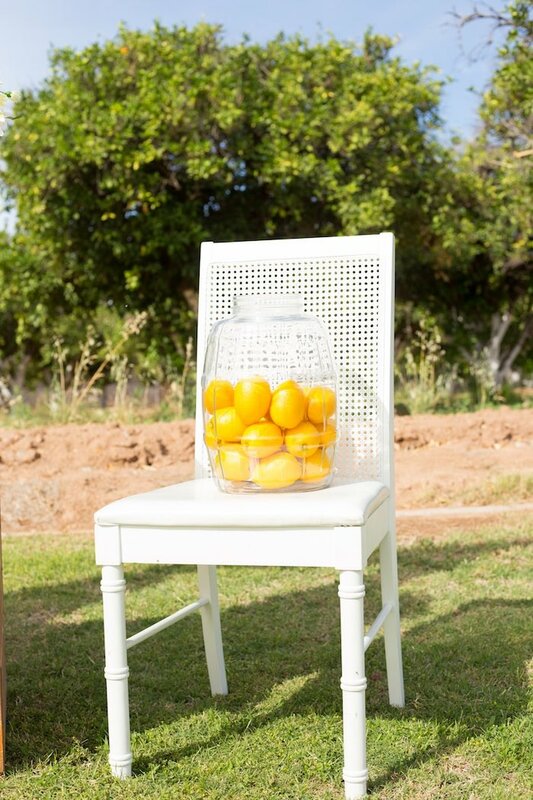 To top it all off, we used a lemon grove as our venue. 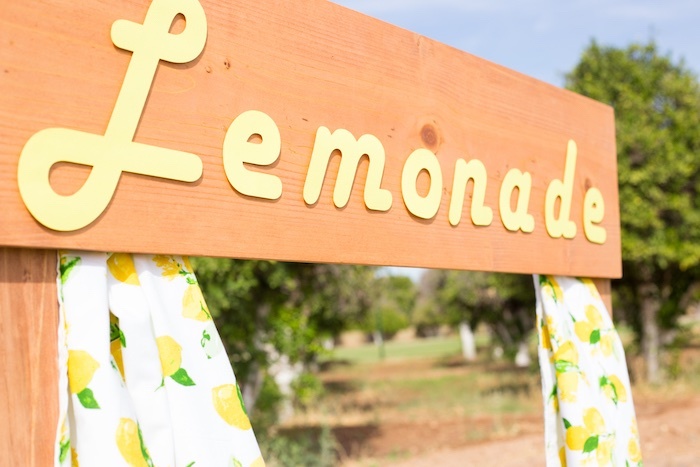 Just one of the bonuses of living in Arizona.